Hello and welcome to Petal Power, wedding and event florist in Cardiff. Stay a while and take a look around. If you like what you see, please click here to get in touch. 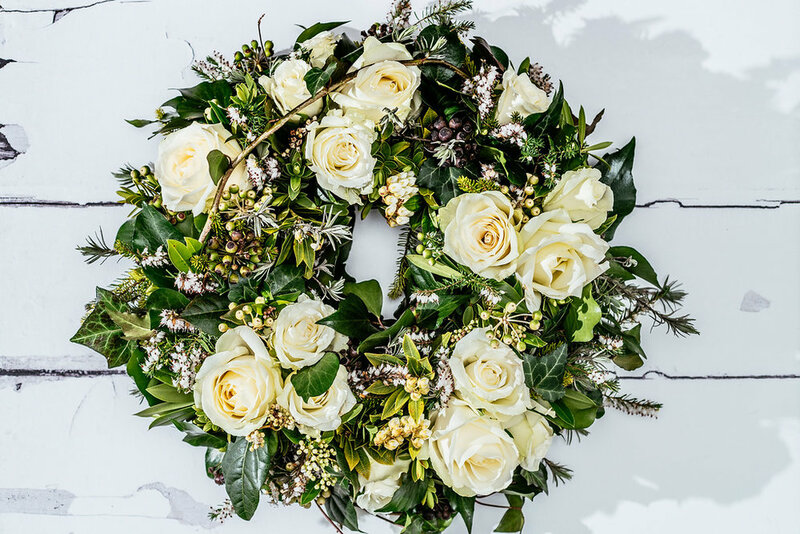 Petal Power is a studio based florist in Creigiau, Cardiff; providing gorgeous flowers for beautiful weddings, special occasions and photo shoots throughout Cardiff and the South Wales area. One of my first memories is running through the woodlands near where I lived gathering a bunch of wild bluebells to give to my mother. I believe flowers are magical; they lift us up and help to make us happy. When I set up Petal Power over 10 years ago I wanted to share this magic and to love every day at work. Powered by my passion to offer unique and bespoke floral design with amazing flowers and no compromises; Petal Power has grown from strength to strength gaining a great reputation and award nominations. Working from a studio at home in Cardiff I offer a highly bespoke and creative service. I mostly work on wedding flowers, although I create flowers for other events. My natural style tends to lean towards natural, romantic, loose displays although I equally enjoy creating sleek modern designs for minimal weddings. There is never a dull moment being a florist. I am privy to many of life’s memorable occasions and it is a real privilege to be a part of these important moments. This calls for a very personal approach which Petal Power is renowned for; just ask one of my brides. When I am not ‘playing’ with flowers I am a busy mum to two wonderful children and wife to my gorgeous husband. If you are looking for a florist in the Cardiff and South Wales area I would love to hear from you. What advice would people in the wedding industry give to couples when planning their wedding? For the final blog covering this wonderful subject and real advice from those in the know read on. Wonderful advice for your wedding day. Part 2. What advice would people in the wedding industry give to couples when planning their wedding? Part 2 of real advice from those in the know; read on. What advice would people in the wedding industry give to couples when planning their wedding? For real advice from those in the know read on. Does Valentine’s Day affects the price of my wedding flowers? Read on to hear my few nifty money saving ideas which might help you acheive your dream flowers without breaking the bank. Is Pinterest a helpful tool when planning a wedding or is it a recipe for disappointment? Before I got married I didn’t believe that flowers could make a difference — I was wrong! When I saw how Anne-Marie designed the flowers for our wedding, it made me realise how effective good flower arrangement can be. It made my wedding even more amazing.